Cameron Manufacturing and Design is a contract manufacturer in Horseheads, NY. One of Camerons specialties is machinery and equipment that is used in high temperature environments. Because of this, we require many fasteners made from various exotic materials, such as high temperature stainless steels and superalloys. 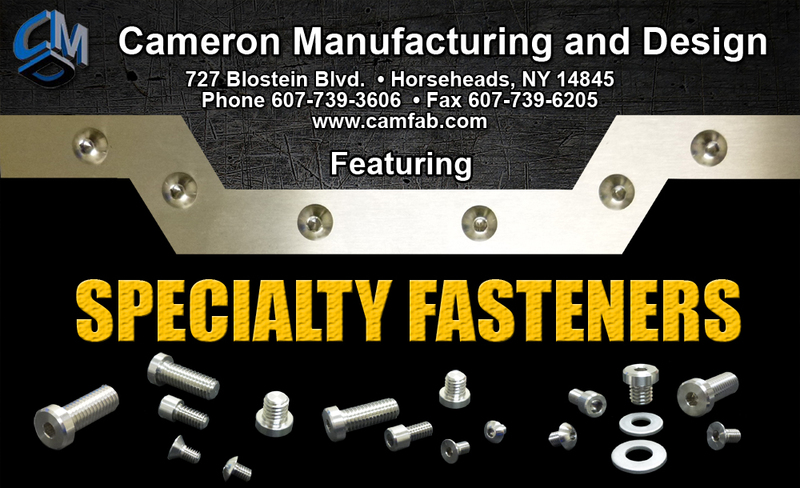 For years Cameron struggled with issues from our specialty fastener suppliers, including low quality, high price, and long lead times. Eventually, Cameron determined that we would be better off if we made our own fasteners in-house. All fasteners made by Cameron are precision machined in reference to a Class 3 tolerance. SHCS - 1/4-20 UNC X 7/16 LG. SHCS - 5/8 -11 UNC X 3" LG.